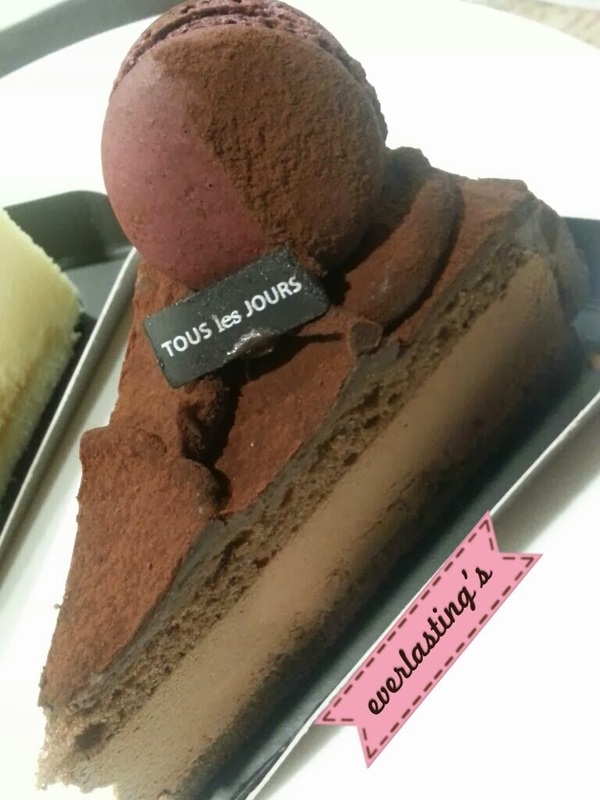 Tous les Jours , with literal meaning of 'Each Day' is not a foreign bakery brand to me. One of Super Junior member, Eunhyuk opened a branch of the bakery in South Korea not long ago and it is very famous among the fans. Since I'm a SUPER HUGE fan of Super Junior, I'm already well aware of this French-Asia cafe/bakery brand even before they opened their first Bangsar branch in Malaysia. But, fret not I'm not here to share on my 'fangirl'-ing moments. Last week, I finally got to visit the second branch of TLJ in Malaysia. 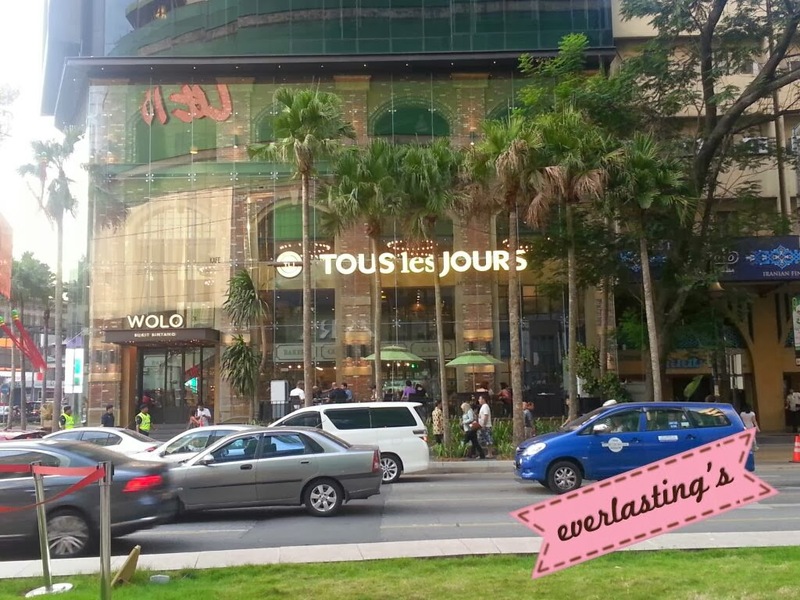 Situated in Bukit Bintang, this bakery can be seen as soon as you get off the Bukit Bintang Monorail station. Just opposite of the H&M store, and not far from Pavilion, this two-story bakery is just strategically located that it is almost impossible to miss it. When you first entered, you will be greeted "Annyeonghaseyo" by the bakery staffs, which is quite a shock for me. I didn't expect to hear that, even when I know that TLJ is owned by a South Korean company. The staffs here are friendly and cheerful too. The interior of the bakery/cafe is just so classy and vintage-like. Its very spacious, and quite calm with not many people around.This is probably because I came during working hours. My friend told me that it is usually packed with people, especially after working hours. Unfortunately, I forgot to take some snapshots of the interior due to my excitement over the breads and cakes. But I did took some shots on our orders. To order, you just need to choose the bread or pastries you want and put it on the available tray, and just bring it to the counter. 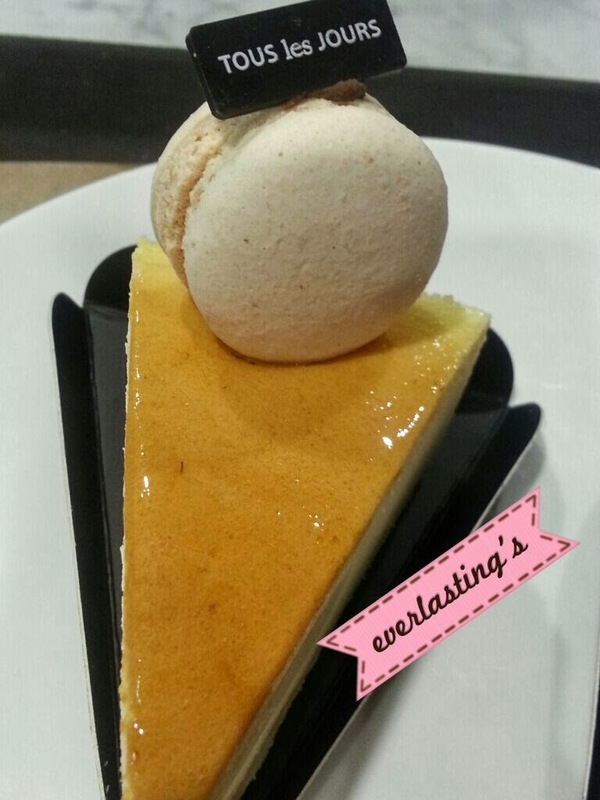 For cakes and some other desserts like macaroons on the display shelves, you just need to point out your choice at the counter and the staffs will take it out for you. After you pay, you'll be given a number tag, which the waiter will send you your ordered drinks. 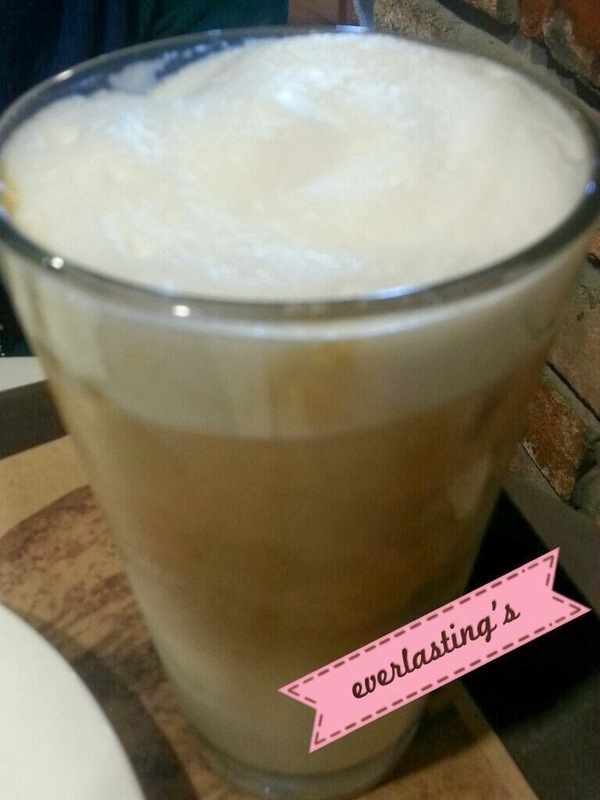 For the beverages, I ordered my all time favourite coffee, Ice Caramel Macchiato and my friend ordered Ice Cappuccino Latte. The price for the coffee is sligtly cheaper than Starbucks' grande order. 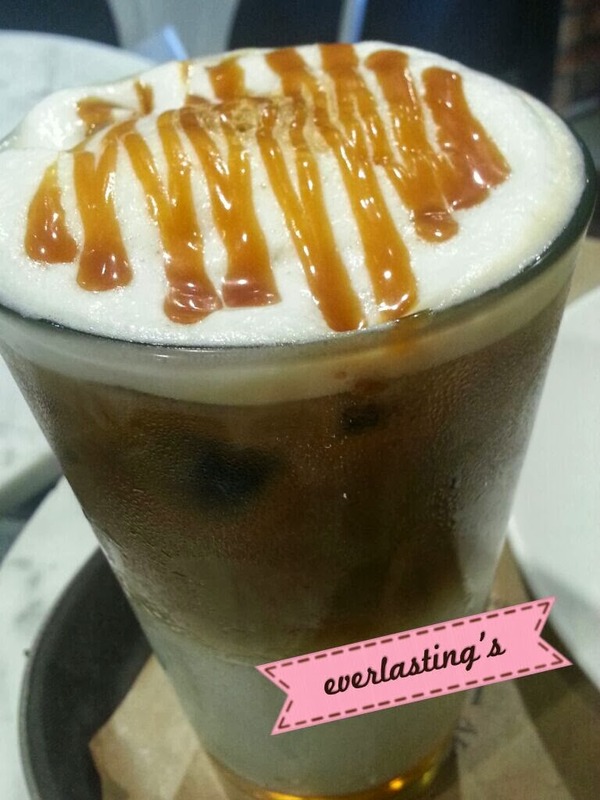 If I'm not mistaken,the price was RM9 for my Ice Caramel Macchiato and the same for the Cappuccino Latte. And we decided to order cakes instead of any other pastries, even when we haven't had our lunch yet that day. I'm not a huge fan of chocolate cake but that day, I ordered a Chocolate Ganache Mousse Cake and my friend ordered a Classic Cheese Cake (Not exactly sure if that were the exact name.). The cakes are so good! I'm not really good in eating rich flavored chocolate cake, but this one is fine for me. The classic cheese cake is good too. And it suits my friend's palate. Not too sweet. Just perfect! We sat at the far corner of the first floor, and spent time catching up for quite awhile. In overall, this place would definitely be my favorite spot from now on. Maybe I should try the breads next time. But as far as the overall service, I like it. 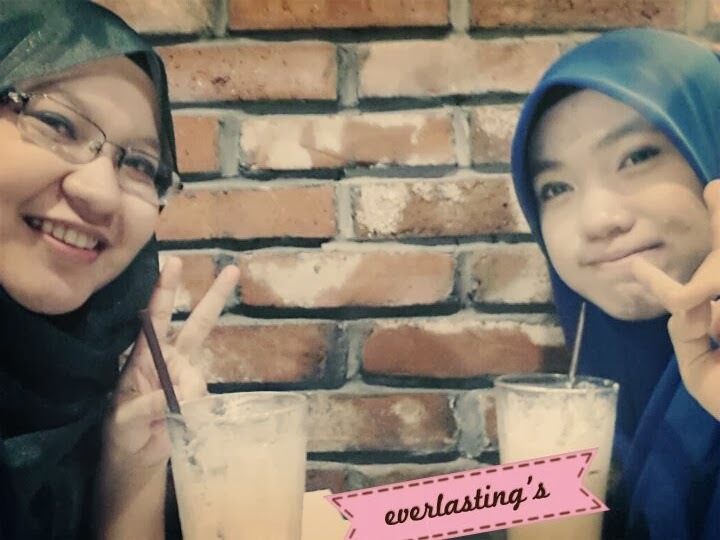 So let me end this post with this quick selca we took before heading out that day.